(CNN) -- A U.S. grand jury indicted four people, including two Chicagoans, for alleged roles in plots against a Danish newspaper and the November 2008 terrorism attack in Mumbai, India. Ilyas Kashmiri, an alleged leader of Harakat-ul Jihad Islami, was charged for the first time, according to the U.S. Department of Justice on Thursday. The group has "trained terrorists and executed attacks in the state of Jammu and Kashmir under Indian control," Justice said. Kashmiri also is alleged to have links with al Qaeda. Also indicted were Abdur Rehman Hashim Syed, or Abdur Rehman, a retired major in the Pakistani military, and Chicagoans Tahawwur Rana and David Headley. The Denmark plot targeted the Jyllands-Posten, a newspaper that published controversial cartoons of the Prophet Mohammed, the founder of Islam, in 2005 and 2006, according to federal prosecutors. The indictment alleges that Headley conspired with Kashmiri, Abdur Rehman and others from October 2008 to October 2009 to carry out the Denmark attack, but was advised in March 2009 to put that plan on hold because of pressure after the Mumbai attack. The three-day terrorist siege in Mumbai killed at least 160 people. The 12-count superseding indictment contains the same 12 charges filed against Headley last month and adds the other three men as defendants. Headley, a U.S. citizen and Chicago resident, faces six counts of conspiracy to bomb places in India, and to murder and maim people in India and Denmark; and of providing material support to foreign terror plots and providing material support to Lashkar e Tayyiba, which the United States lists as a terrorist group. Headley faces an additional six counts of aiding and abetting the murder of U.S. citizens in India. Six Americans died in the Mumbai attack. 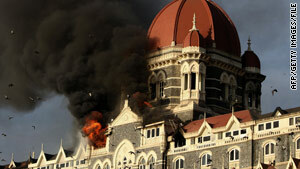 India blames Lashkar for the Mumbai attack. Rana, a Canadian citizen and Chicago resident, faces three counts alleging material support of the Denmark and India plots and support of Lashkar. Kashmiri and Abdur Rehman were charged with two conspiracy counts relating to the Denmark plot, according to the U.S. Justice Department. Neither man is in U.S. custody, the department added. Headley has pleaded not guilty and is cooperating with authorities. He and Rana have been in federal custody in Chicago since their arrests in October. Terror suspect has roots in Pakistan, U.S.